I HAVE NEVER HEARD OF MOONSHINE CHERRIES INTERESTING I GUESS I WILL HAVE TO LOOK FOR THESE ONLINE. They are yummy but super potent! They make blueberries too! Congrats on your team’s big win. Hope you are recovering from the big day, I decided I need to be more invested in the game next time and maybe I won’t drink so much. LOL Now its time to get back on track. Nice job on your fitness goals. I am really struggling getting in a routine, I hate winter time I just want to hibernate. I usually hate working out in the summer…too hot! But I am on an addiction now so hopefully even when it warms up I’ll still be going strong! Yeah once you are addicted its so hard to stop. I need to get back in that habit, I was doing so good until the holidays hit. Keep going! You can do it girl! You are awesome!! The Broncos won so a celebration must be had. If my team ever went again (it’s been 16 years and they lost anyway) I would probably end up spending a little time on the bathroom floor too. Lol. This #activitytrackerchallenge has been motivating. My job involves going to beaches and/or parks once a week to tour projects and properties and today was that day so I opted to walk instead of jumping on a golf cart. Good job lady!!! Yes nothing like some healthy competition for a motivator!!! You go girl!!! There’s only one thing cooler than the other side of the pillow, and that’s the bathroom floor! It’s also an excellent alcohol wick! Draws it right out! BTW, I don’t know how Coldplay got mixed in there either. I’ve never thought of them as an extravaganza band, but that’s what the Super Bowl halftime show has become. You got 15 minutes kids. How many dancers in your show? None? Don’t worry, we’ll find you some. It’s gotten such controversy which I’m sure is exactly what Beyoncé had planned. All I cared about was the game and that we won and now hopefully Manning can retire in style! Even if it will most likely be in a Colts jersey. Congratulations! 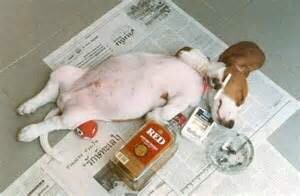 The picture of the doggie made me laugh. I am desperate for summer so I can get running outside again. The Canadian winter is testing my will to live! LOL! That’s how I feel. I love being outside to walk and run. The treadmill is so boring! SO BORING! Lol! Sometimes I’ll forget my headphones at home and I’ll refuse to do the treadmill. Cannot do it without music!! I know everyone else is commenting on the moonshine cherries, but I can’t resist. This is fascinating! I am filing this info away for summer. Then I will research this more thoroughly. Enjoy the break from Fitbit fanaticism, especially after your rocking week! I’ve found taking the Fitbit off entirely helps me feel less guilty. Of course I have no steps for today! Wink wink. I am addicted to my Fitbit! I even started an #activitytrackerchallenge between a few blogging friends. Of course I’m probably going to lose this week because I bought a new phone and my stuff didn’t transfer over so I’m missing a day and 1/2 worth of steps. Oh well there’s always the next one ;). You should add me…its under tristasim@yahoo.com! Nothing like some challenge to keep you motivated! And yes the moonshine cherries and blueberries are tasty but SUPER potent! I have to pass for now. #1 – I don’t have any Fitbit friends. It’s great because every week I’m the steps winner! #2 – I’m 7 months pregnant (I’m totally playing the preggo card here) so steps are slower, fewer, and more waddle-like. #3 – My Fitbit is acting up and hasn’t synced in 3 weeks (a Charge HR glitch. 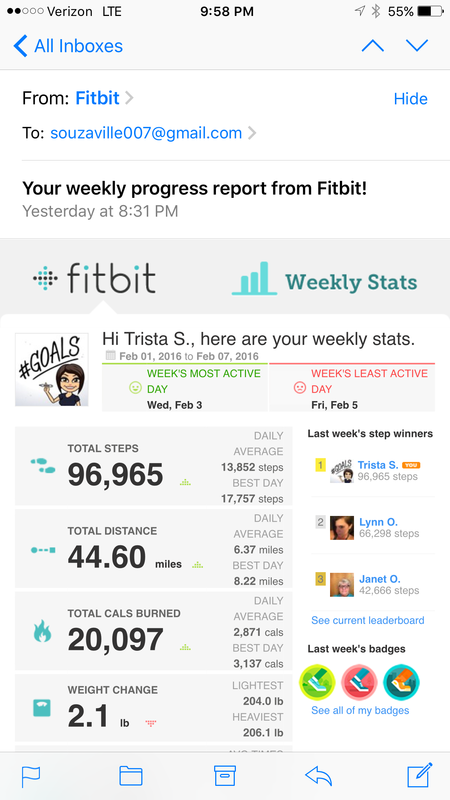 Fitbit says they’re aware and working on it.) BUT, after #2 and 3 get sorted out, I may just take you up on it. Thank you for the offer, I could use the challenge to get back into post-baby form. Yes I’ve heard about the glitch and I totally understand the being pregnant thing! FitBits weren’t around when I was pregnant which is a good thing since I was pretty much a sloth. I have become so addicted to Zumba! I love it! Some days I go twice a day! Glad to have you back and linked up! Nice! I’m having major withdrawal from teaching, I can’t get any studios to call me back I’m getting so frustrated. Maybe I’ll put “becoming a Zumba” instructor on my bucket list 🙂 hope you get to get back to it! The halftime show was terrible. Congrats on the big win. Yeah I’m glad I missed it after watching all the controversy on tv about it. All I care about is that my team won and I get to gloat for a year to all the haters! Thanks for linking up Jeremy! Always great to have you. My friend just made her own moonshine which I plan to get the recipe for so I will pass it on to you and then just soak cocktail cherries in it. Have you ever soaked gummy bears or worms in vodka??? 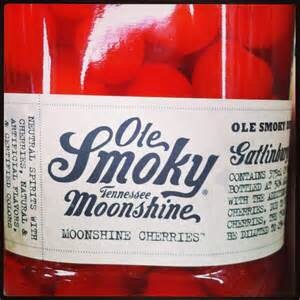 The brand of moonshine cherries is called “Little Smokey” and they are yummy but highly potent. Thanks for linking up lovely! I feel exhausted just reading that! From the other comments, I assume that your team won. Congratulations! Congrats on your big win Trista! My teenager started out rooting for the Panthers but once he realized they were going to lose in the first quarter, he decided to root for the Broncos. Mind you, he’s a Patriots fan so switching sides was not big deal but he was glad the Broncos won. Moonshine Cherries? Holy crap lady, I want some of those! I love cherries but I’ve never had Moonshine before so that is something I will have to try! I didn’t pay attention to the half time show so I didn’t even know it was controversial until I read it all over Facebook the next day. Several of my old classmates were in an uproar over it. It seems the half-time show has become a catalyst for controversy now so I just don’t care. I am so glad I got my fitbit! I am addicted to it. I even wear it to bed so it can track my sleep, which apparently I am restless a lot. No surprise there. I am also so glad to be a part of the #activitytrackerchallenge with you. It’s been a lot of fun! Congrats on the 90,000 steps! You go girl!! 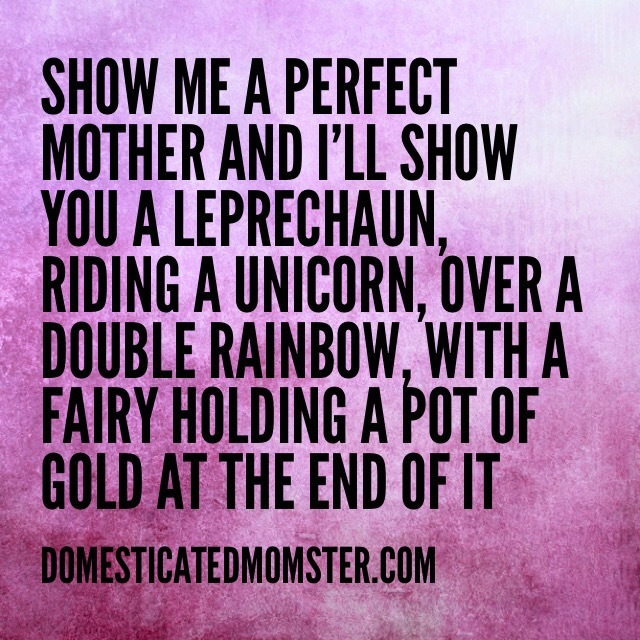 Have a fun weekend with your mom! This week my mom is here and I was doing so good until today when I helped with my son’s Valentines party and there were lots of goodies 😳 yummy yummy goodies that I couldn’t be rude and not try ….but I did work out hard this week so I’ll let the calories slide 😉 thanks for linking up for #monsterslink! Thank you! I’ve gotten a little off track this week as well as my mother is visiting and I’m not getting to the gym as much as I would like to but next week I should have no distractions! My mom has come for a visit this week so it’s thrown my schedule off a bit but I’ve got a knee that’s swelling on me so I think I’ll take the weekend off from exercise. Will be back in full swing on Monday though! I really feel blah if I don’t work out. Thanks for linking up. Yes they are …so is the moonshine they are soaked in :)) Thanks for linking up!